Oracle and Amazon today announced that Oracle would be offering some of their products inside Amazon’s EC2 cloud. The Oracle Database 11g, Oracle Fusion Middleware, and Oracle Enterprise Manager can now be licensed to run in the cloud on Amazon EC2. Customers can even use their existing software licenses with no additional license fees. 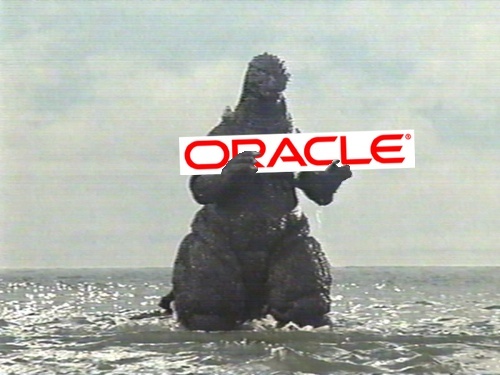 While I see nothing specifically about Oracle Spatial, I assume is can be licensed as well on the cloud. The benefit to everyone is outside of licensing costs, the ability to launch the Oracle AMIs on EC2 and be up and running in no time. That plus the scaleability of EC2 (and thus Oracle) means that you don’t have to worry about hardware limitations with your applications. RSP Architects uses SQL Server as our database of choice, and while I would have been able to run Oracle in a virtual server, I no longer have to worry about hardware constraints to our development. Just license (which of course I realize is a problem for some people) and start loading the database. I’m anxious to see how ArcGIS connects to Oracle Spatial on EC2 and what kind of performance I can expect. Now for those who want to avoid Oracle, MySQL Enterprise as well in the Amazon Cloud.